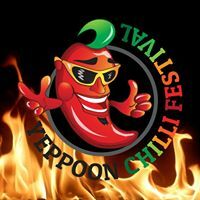 Come along and join in our Yeppoon Chilli Festival and Chilli Eating Championship. This is the PCYC Capricorn Coast Leadership Development Center’s Main Fundraiser for the Year. By drinking ,eating and having a great time you will be helping us support and provide quality activities for Youth in our Community. There will be a bar, food stalls, kids corner, raffles and competitions, cooking demonstrations and much more.Highlights include the “how hot can you go” chilli competition and the People’s Choice Awards for best chilli preserve, best chilli dried meat products and best chilli sauce! Venue: Capricorn Coast PCYC, 170 Matthew Flinders Drive, Yeppoon.